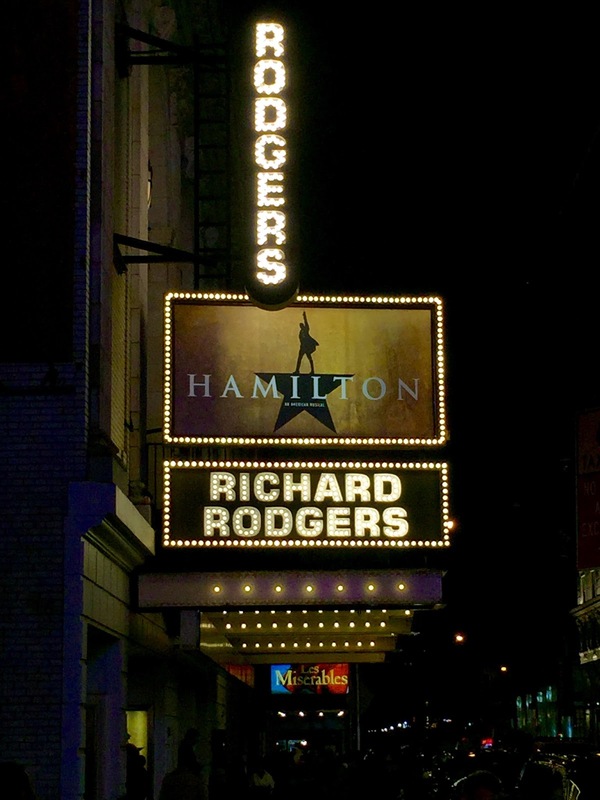 entreVIEW: Alexander Hamilton: Founding Father and Entrepreneur? Alexander Hamilton: Founding Father and Entrepreneur? Even for casual followers of the Great White Way, “Hamilton,” the new musical by Lin-Manuel Miranda, is a phenomenon. You don’t even need to be an admitted musical junkie like this author (500+ unique musicals, and counting) to know that getting a ticket to see “Hamilton” may be harder than getting a ticket to see the Panthers and the Broncos in Super Bowl 50 (don’t ask me why the NFL decided they didn’t want to just call it “Super Bowl L” and abandoned Roman numerals this year)! “Hamilton” reportedly had more than $30 million in advance grosses before it even opened last summer and had claimed more than $57 million in advance by early November, a record for Broadway. Not bad for a show rooted in a biography of Alexander Hamilton told through the language of rap (yes, you read that right). Guess I should lay down the gauntlet for my fellow entreVIEW author and our resident book critic, Dave Morehouse, to tell us what he thinks of it. I managed to score tickets to “Hamilton” for my annual Thanksgiving pilgrimage (having bought them long before it became such a phenomenon). Like pretty much everyone else who’s seen it, I agree that it is both groundbreaking and pretty terrific! I guess this Miranda guy has a little talent—in addition to having written the music, lyrics and book, he also stars as the title character. This isn’t a fluke—he also starred in and wrote the music and lyrics for “In the Heights,” a musical that opened on Broadway in 2008, which was nominated for 13 Tony Awards (and a Pulitzer Prize) and won four, including Best Musical. If you’ve read this far, you may be wondering where the entrepreneurial “hook” is in all this. I was doing a little research on the financing for the musical and its journey from the Public Theatre to Broadway. 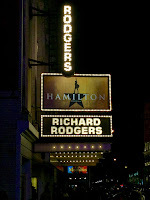 (I’ll admit, I wanted to write a post to tell everyone how much I liked the show, but I needed something to grab on to so as to make it “entreVIEW appropriate.”) I also have been following the "Ham4Ham" phenomenon—the twice weekly live performance on the sidewalk outside the Richard Rogers theatre entertaining the thousand or so people lining up to enter that day’s lottery for $10 tickets (just the price of a Hamilton, get it?). There’s even a guy who has filmed them all and posted them on a YouTube channel. Fortunately, I stumbled upon this Fortune article that detailed the entrepreneurial lessons of Hamilton. The article points out that, in many ways, Hamilton is just like an entrepreneur. He didn’t have an auspicious start in life—he was an immigrant and an orphan—but he was scrappy, sometimes misunderstood, and nakedly ambitious. He saw his shot (in his case, to found a new country, author and advocate for the Constitution, and establish the first national bank) and went for it relentlessly. Not a bad list of accomplishments for a guy who died (in a duel with Aaron Burr, in case you forgot what you learned in Middle School or this milk commercial) at only 49 years old.